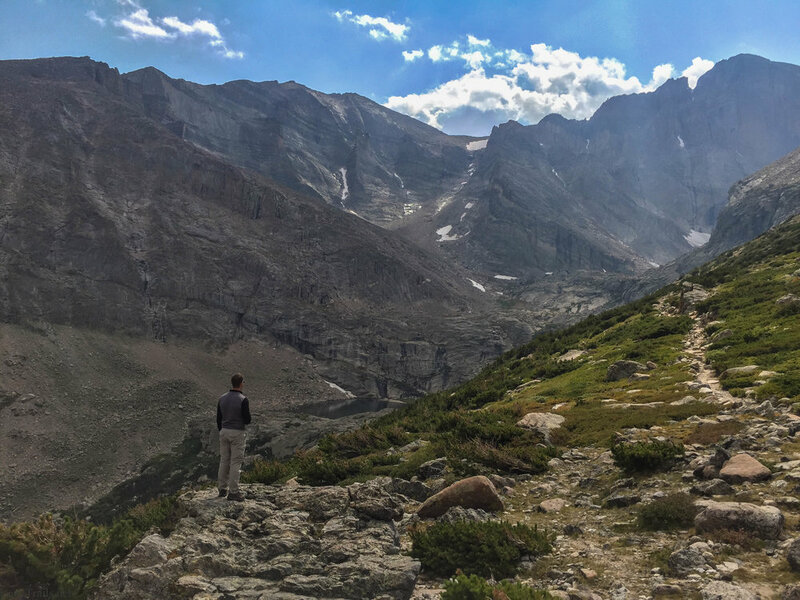 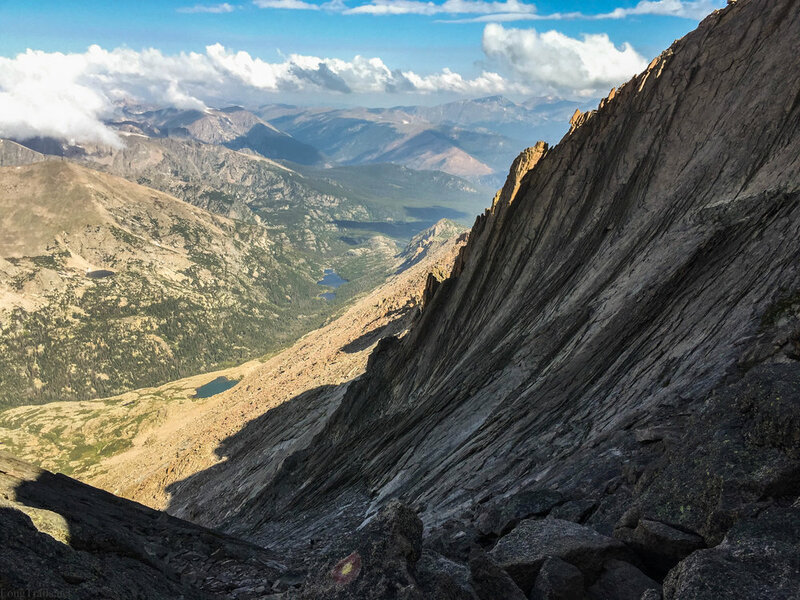 Looking at Long's Peak from across the valley; Standing on top of Twin Sister's a couple day's before our attempt. 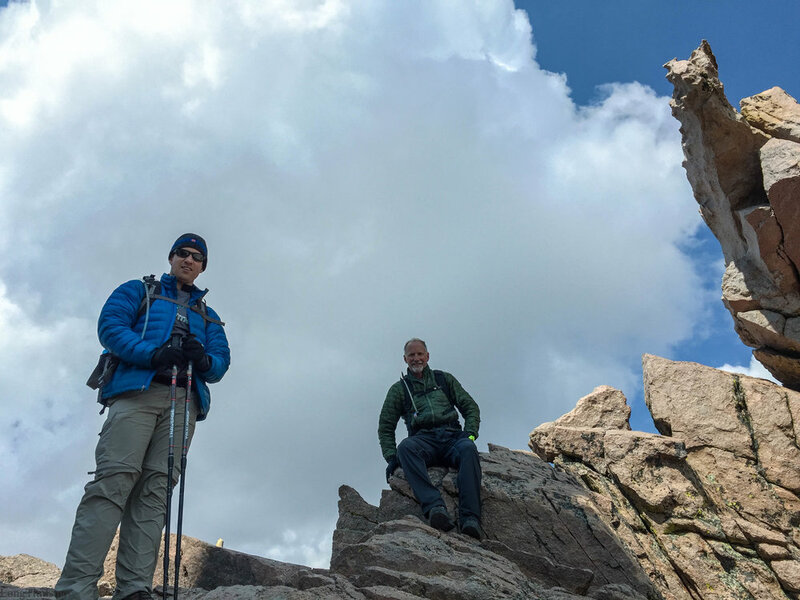 At 1:30am Christopher, Dad and I start, with our headlamps on up the Long's Peak Trail toward the Boulder Field and Keyhole. 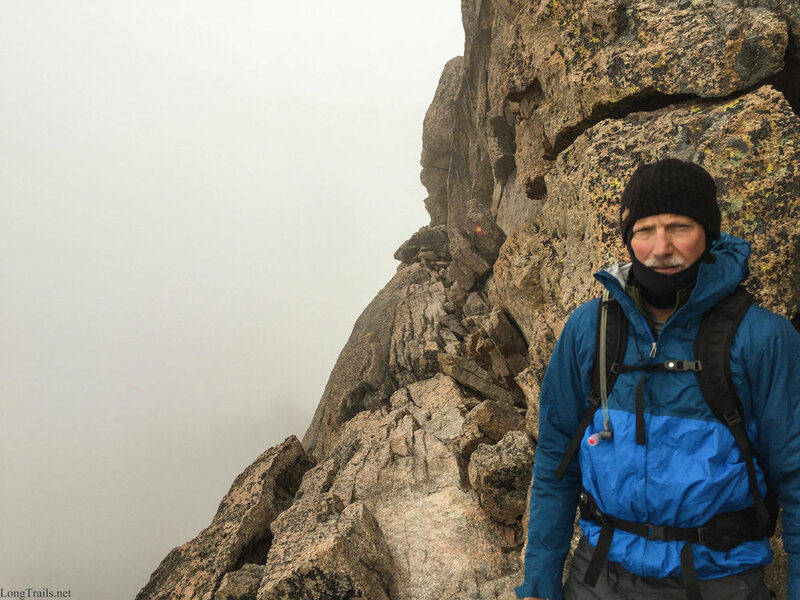 The clouds were dense on the ascent causing some of the rocks to be slick. 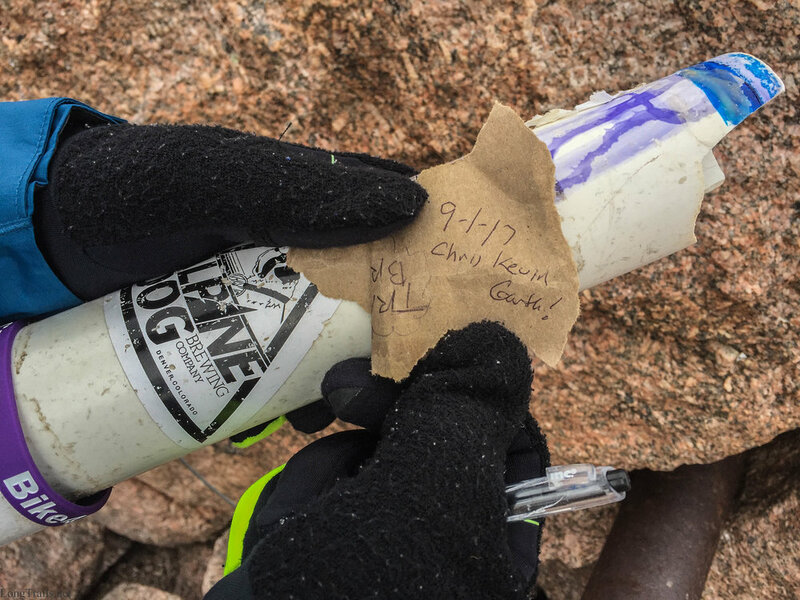 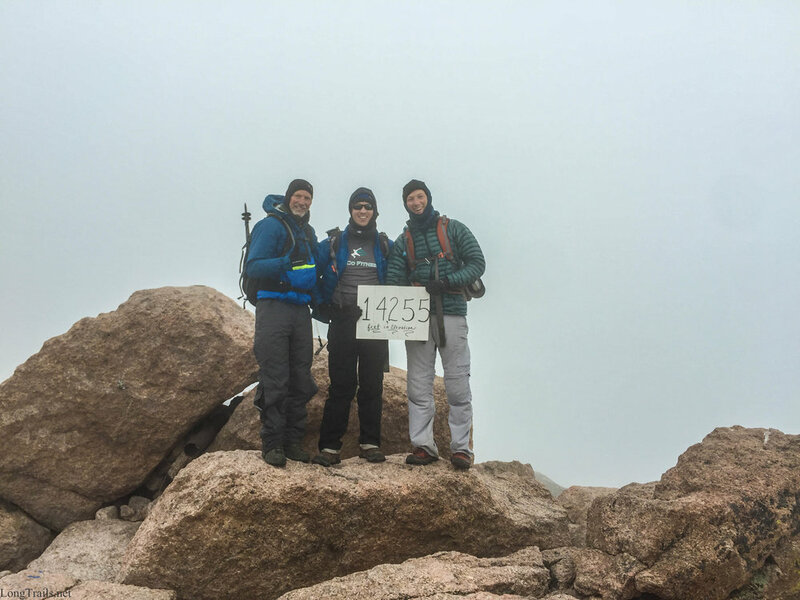 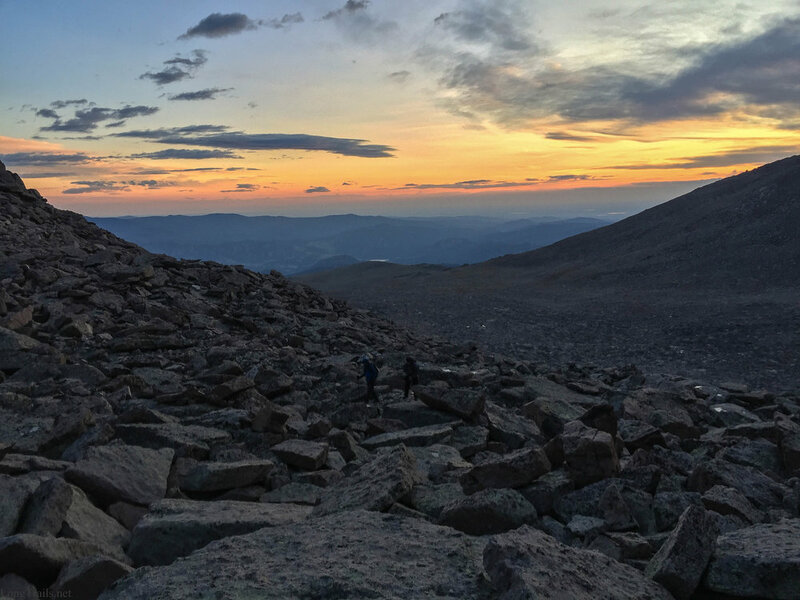 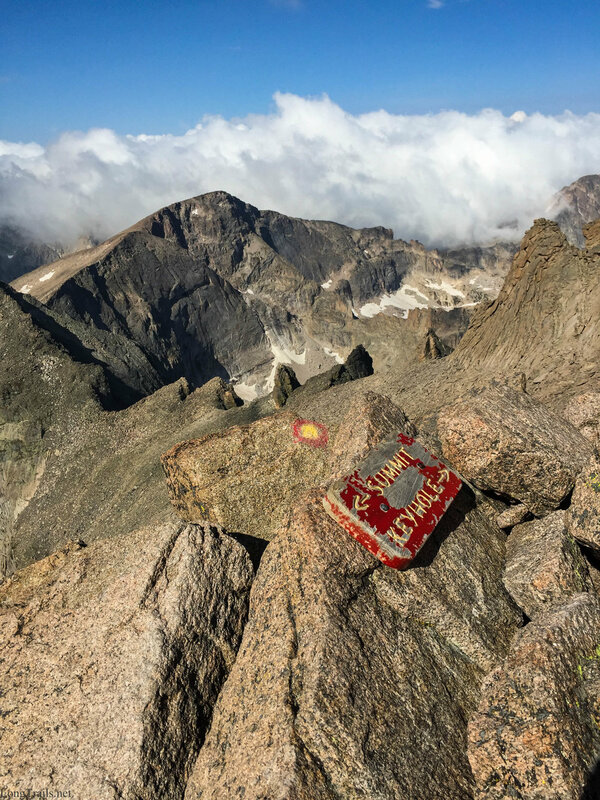 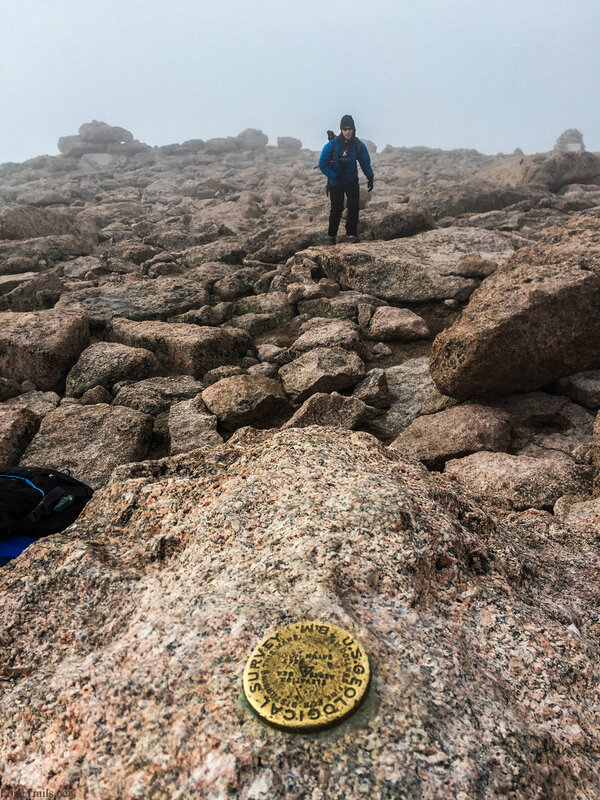 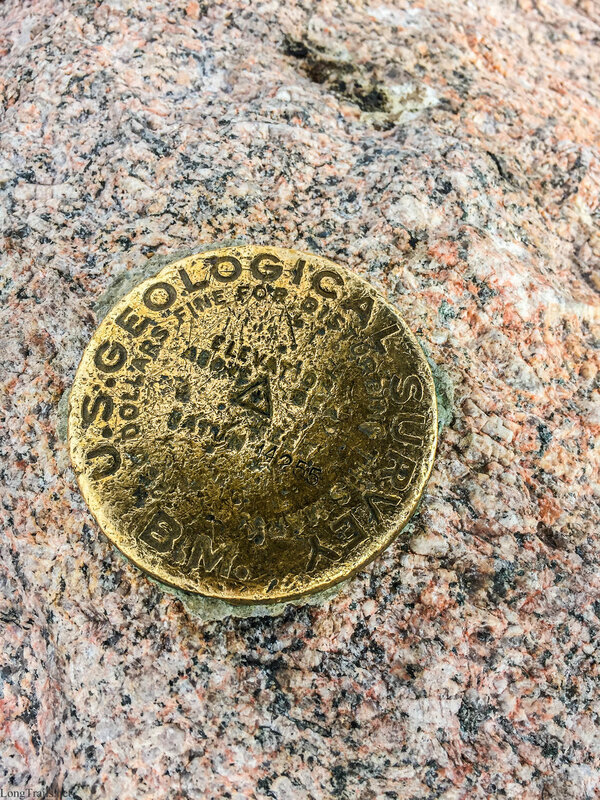 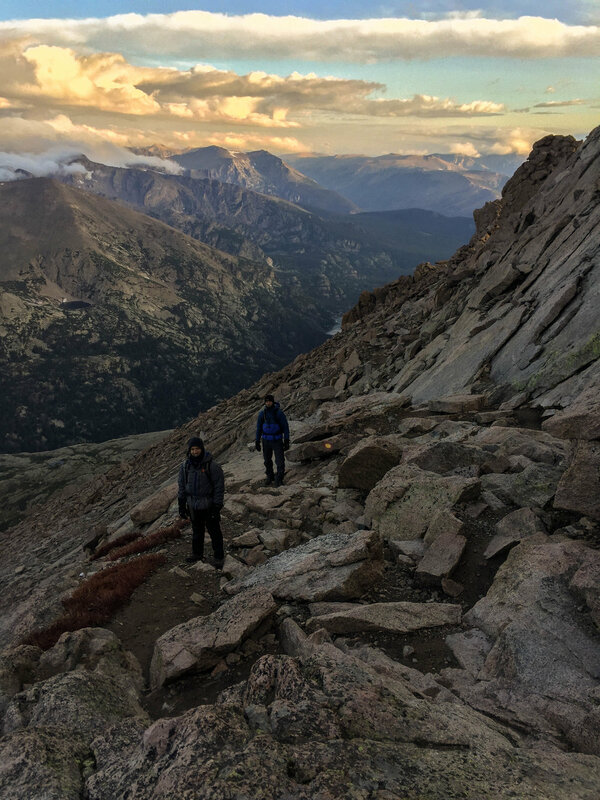 At 9:06am, with the clouds clearing, we reach the summit of Long's Peak. 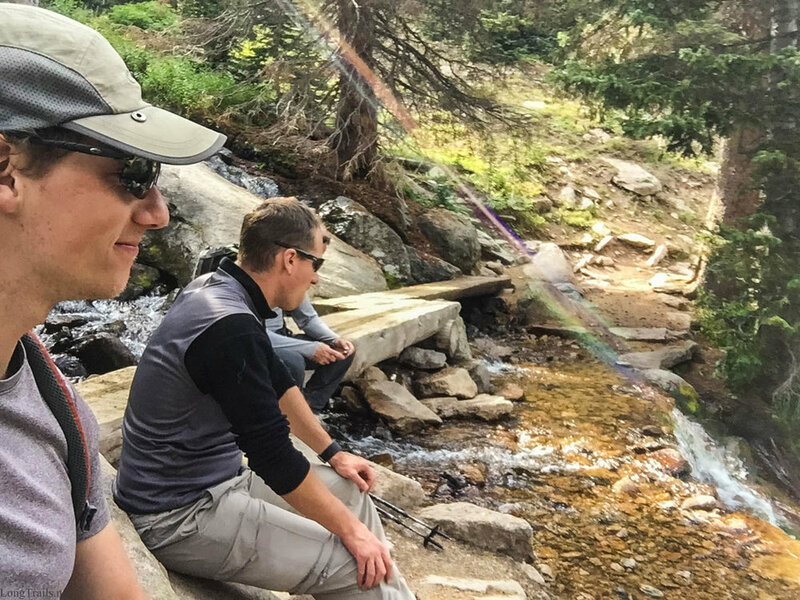 We enjoy ourselves for a bit, then start the long trek back to the car.